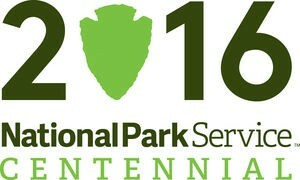 2016 marks the National Park Service’s Centennial, and to commemorate the occasion, the NPS has launched a new campaign called “Find Your Park.” The purpose of the campaign is to encourage people to personally connect with national parks, wildlife refuges, public land areas, and even National Park Service programs. To get started, potential park visitors can visit the Find Your Park website; they can search for a park based on the experience they would like to have, by location, or through others’ experiences, conveyed through videos from people who are a major part of this initiative, such as Bill Nye, former First Lady Laura Bush, and current First Lady Michelle Obama. Once people have found “their” park, they are encouraged to share their story. They can upload a photo, video, artwork, or whatever they feel best reflects their experience to the Find Your Park website under “Share Your Park”. For those active on social media, they can share posts on Twitter or Instagram and use #findyourpark to tag their posts. Users even have the chance to win some amazing prizes – currently there is a video contest running in conjunction with Mashable.com and Playlist Live Orlando, with more contests to come. The last step is for people to get involved with their chosen park, and the “Support Your Park” section has numerous suggestions – one can join the National Park Foundation or a local Friends Group, make a monetary contribution, or search for a volunteer opportunity. There are over 400 national parks alone in the United States, so there is no shortage of possibilities. Want to take part in this campaign? There are two nationally-managed areas right in our backyard for you to discover – first, Cumberland Island National Seashore is a 45-minute ferry ride away from downtown St. Marys. An unspoiled piece of wilderness, Cumberland Island has been preserved and maintained by the National Park Service since the 1970s. The island is rich in beauty as well as history. Visitors can walk on the beach, observe wild horses, explore the ruins of Dungeness Mansion, or take the Lands and Legacies van tour to the north end of the island. The Cumberland Island Visitor Center as well as the Cumberland Island National Seashore Museum are in downtown St. Marys and are great places to visit to further enhance your experience. Wild Cumberland and the Georgia Conservancy are two nonprofit groups heavily involved in the continued preservation of the island, if you are looking to volunteer. The second nearby area is the Okefenokee National Wildlife Refuge, with the Main Entrance located an hour to the west of us in Folkston, GA. Experience the “Land of the Trembling Earth” by hiking the numerous trails, climbing up the observation tower at the end of the Chesser Island Boardwalk, or taking a guided boat ride through the swamp. The Richard S. Bolt Visitor Center is a terrific source of information and education, and for any volunteer opportunities, you can contact the Okefenokee Wildlife League, the official Friends Group for the Refuge. What are you waiting for? Get out there and find a park near you!